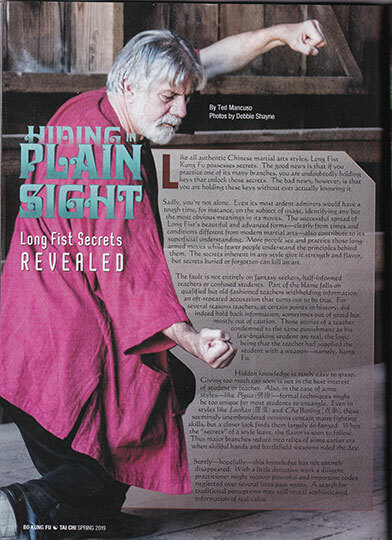 The Spring 2019 issue of Kung Fu Tai Chi magazine is dedicated to Shaolin, and will feature, among many other fine articles, a new piece on Long Fist Secrets Revealed by Plum’s director, Sifu Ted Mancuso. 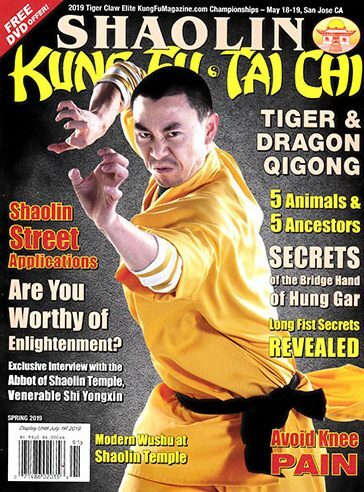 We received our advanced copies, but if you would like a copy for yourself they will be available soon at Kung Fu Tai Chi Magazine. As a matter of fact, if you don’t know this magazine it might be a good time to subscribe—they’re running a 50% discount off yearly subscriptions at the moment. Posted February 3, 2019 by Plum Staff. Comments and trackbacks are open. Follow the comments feed. Tagged with: Bak Sil Lum, bei shaolin, chang quan, changquan, Gu Ru Zhang, ku yu cheong, Long Fist Kung Fu, Northern Shaolin, Shaolin.